Mix the dry ingredients separately from the wet ingredients. Fold the wet ingredients into the dry ones. Add a little water if needed, in order to reach a smooth texture. 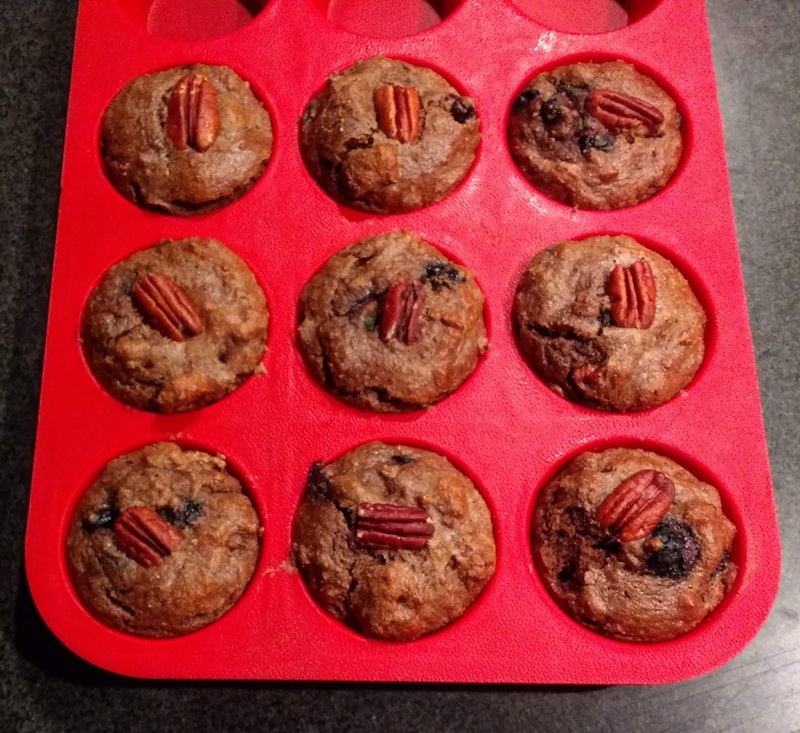 Pour into muffin cups (silicon tray). Bake at 350°F for 15 minutes or until an inserted toothpick will come out dry.